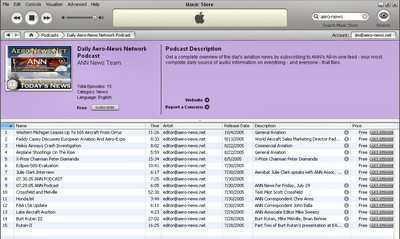 As you know, ANN has added DAILY Aero-Casts (often known as "podcasts") to our news line-up. Adding DAILY audio products is an unprecedented move by the Aviation World's Most Comprehensive DAILY News Service. Members of our audio news team have been in the radio business for more than 30 years now -- They've written, produced and, of course, heard their share of commercials over three decades. 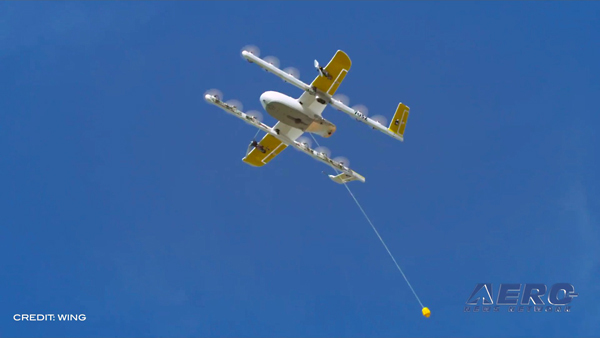 But Aero-Casting is a new technology, especially to aviation businesses that generally don't advertise in the mainstream media. So here's a quick Q&A on some of the particulars you might want to know if you want to use this exciting new medium to get your message across to our listeners. Who Can Advertise On Aero-Casts? Well, just about anyone, come to think of it. But you might consider who you're trying to reach. 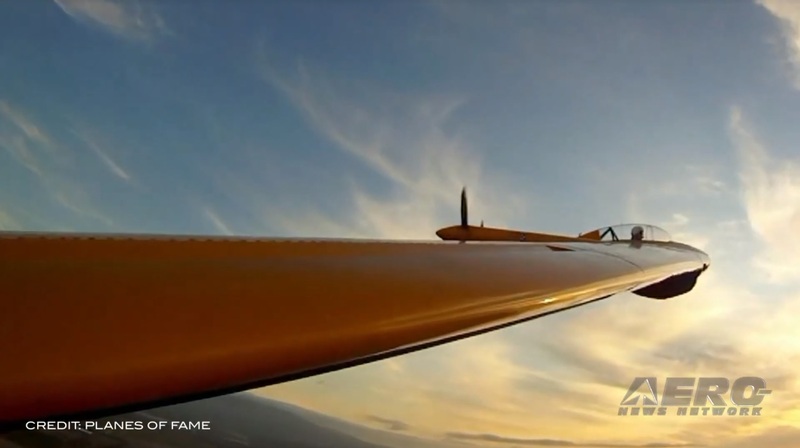 Our audience is made up of aviation professionals, hobbyists and enthusiasts -- so if you're trying to reach a crowd of peers, this might just be the place for your message. But consider the demographics generally associated with aviation fans. They have above-average educations, above-average incomes and are very technology-minded. They're both men and women -- slightly more men -- between 25 and 74. If you're trying to reach an audience like that, then it really doesn't matter whether your product is aviation-oriented -- you've got one of the most sought-after demographics in the business right here at Aero-News. How Much Time Do I Have To Get My Message Across? We offer "spots" (yeah, it's an insider term for "commercials") of either 30- or 60-seconds in length. That's an industry standard and, while it doesn't sound like a lot of time, it really is more than enough to get most messages across. A 30-second spot is about two paragraphs of typewritten copy. A 60-second spot is, as you might expect, about twice that. Boil your message down to a single sentence of no more than 30 words. Then expand on it until you've written a few paragraphs. Keep your idea simple and center it on that one sentence. Make sure you include your organization's name and contact information as well as your message. Remember that the purpose of advertising is to motivate. You want the listener to do something, go somewhere or come around to your way of thinking on a particular issue. Keep it simple. I can't stress that enough. Write short, declarative sentences and make it VERY conversational. Remember, you're talking to friends here. When you've written your spot, grab a stopwatch and time it. Remember, if you want to use music or sound effects (use the effects sparingly), they take extra time. Your message can take the form of a direct, one-on-one appeal to the listener. It can also be something like a skit, where the listener is a fly on the wall. You can use one voices or several. When you've written your commercial, run it by a friend. If your friend "gets it," then you've probably written an effective spot. But to be sure, find a sympathetic ear that's not attached to someone in your organization. Aero-News has a full staff of media professionals who are able to hone your message until it's razor-sharp. Even if you've only sketched out the bare essentials of your spot, our staff can work and rework it until you've got a world-class commercial that perfectly suits your intent. Repetition is the key to radio (or Aero-Cast) advertising. When you consider how to schedule your spots, remember that repeating yourself is a good thing. Industry wisdom says, "Tell them what you're going to tell them, tell them, then tell them what you told them." In other words, a listener needs to hear your commercial at least three times before it begins to sink in. The beauty of Aero-Casting is that you can afford to do that much more so than you can with general media. Consider a mixture of audio and print advertising with Aero-News. That way, you're reaching our entire audience. Aero-Casting allows listeners to pick and choose exactly what they want to hear. That means they're already inclined to receive your message. Now, all you have to do is get it to them. Can you hear it? Can you hear the opportunities that are coming your way with the advent of ANN's new Aero-Cast programming? An ANN reader recently wrote to note that, "...the human brain processes sound faster than sight, and people recall what they've heard with better cognition and for a longer time, than what they have seen in a print advertisement, given the information is the same. Try watching a TV commercial with the Sound on Mute. In almost all cases, you won't have a chance of understanding what the message is about. Sound is what counts." We agree. Sound counts... and now, ANN proves it -- Three ways. Lead Aero-Cast Sponsorship Program: Our most coveted position; there is ONLY ONE LEAD position available in our current news line-up. This position includes the LEAD (First) 60 Second spot in our DAILY ANNRep news cast as well as our DAILY ASR Feature program. 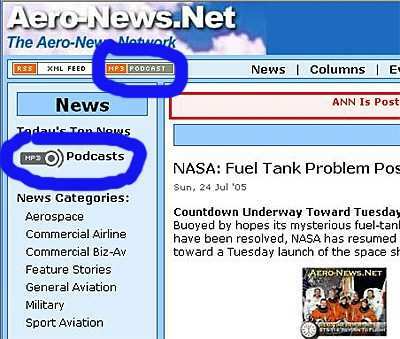 These spots will be featured on Aero-Cast twice a day (once in each of our 2 DAILY long-form programs), five times a week (Monday-Friday) and will result in 10 minutes of valuable sponsor exposure to ANN listeners all over the world. In addition to the above, ANN will include the Sponsor's URL in the data block for EACH sponsored Aero-Cast. ANN strongly advises our sponsors to take the time to conceive and authorize at least three unique spots in order to "change-up" their profile during the week (though, as many as five unique spots are recommended). This will allow a sponsor to offer a different slant, or feature a different product/message, as often as possible. If the sponsor is not in a position to provide their own audio spots for use by ANN's Aero-Cast programs, ANN can arrange for a professional voice-over consultant to provide the approved narrative for each spot and to formulate each one in an attractive, enjoyable format. This program is priced at $2000 per month and is the most dominant sponsorship in our Aero-Cast Line-up. Major Aero-Cast Sponsorship Program: The only other program emphasizing 60 second audio spots, the major sponsorship program features a prominent 60 second sponsorship message in the second half of one of our long-form programs. This position includes the Second-Half 60 Second spot in either our DAILY ANNRep news-cast or our DAILY ASR Feature program. These spots will be Aero-Cast each day (in either of our 2 DAILY long-form Aero-Casts), five times a week (Monday-Friday), and will culminate in at least 5 minutes of valuable weekly sponsor exposure to ANN listeners all over the world. This program is priced at $1000 per month and is a very solid way to get a comprehensive message out to a very dedicated audience every day. Associate Aero-Cast Sponsorship Program: ANN offers six Associate Sponsorship slots in our current Aero-Cast roundup. Each 30 second slot runs at least 5 times per week (once a day in either of our two long-form programs), Monday through Friday. In addition to the above, ANN will include the Sponsor's URL in the data block for EACH sponsored Aero-Cast. In addition to the above, ANN will include the Sponsor's URL in the data block for EACH Aero-Cast. This cost-effective program is priced at $500 per month and promises solid DAILY exposure for your sponsorship message. If any of this interests you, or should you have ANY questions, please call 800-356-7767… and we’ll discuss a program that works for YOU. FMI: Drop us a line. We'll be happy to help. 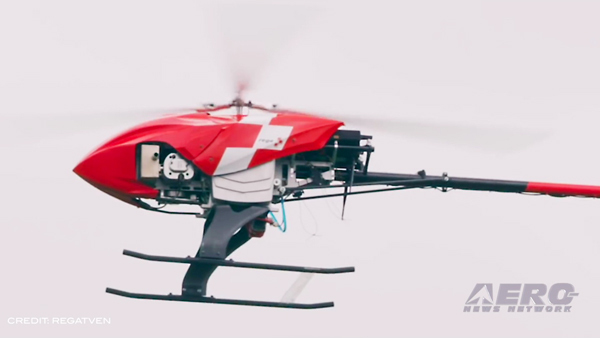 You can reach us at publisher@aero-news.net.